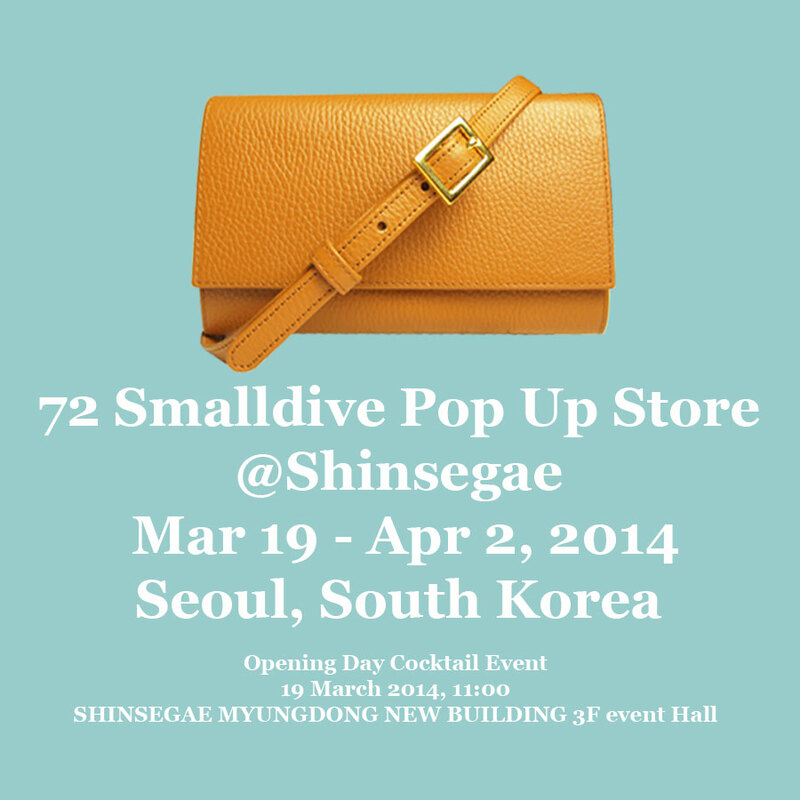 72 Smalldive is pleased to announce its first pop-up store event at Shinsegae, South Korea's leading luxury departmental store. A curated selection of 72 Smalldive's fine leather goods will be presented for sale at this pop up event during Seoul Fashion Week 2014. This event is supported by International Enterprise (IE) Singapore and Textile and Fashion Federation of Singapore (TaFF). We are also pleased to announce the label's runway presentation on Mar 24, 2014 during Seoul Fashion Week.